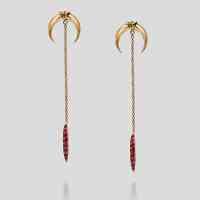 Inspired by the lethal snake bite this gorgeous stiletto earring will edge up your lobes in style. The long drop trace chain is cool yet wearable and will look as good with an up-do as when you let your hair down! 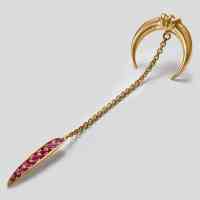 The dagger is set with 8 stones you can customise to your heart's content!